Your designer is ready to dive in. It sounds like you’d love a timeless look for your outdoor living spaces. We’ll focus on classic, tried-and-true picks with cheerful blooms balanced by a strong structure. We already have some ideas brewing. After checking out, your designer will get to work on a custom plant palette curated just for you. We’ll send it right to your email as soon as it’s ready. We’ll make sure you’re happy with your final palette. Have a question? Reach out to hello@yardkit.com. Use #yardkit to get featured on our social media feed. Sign up for our monthly digest. 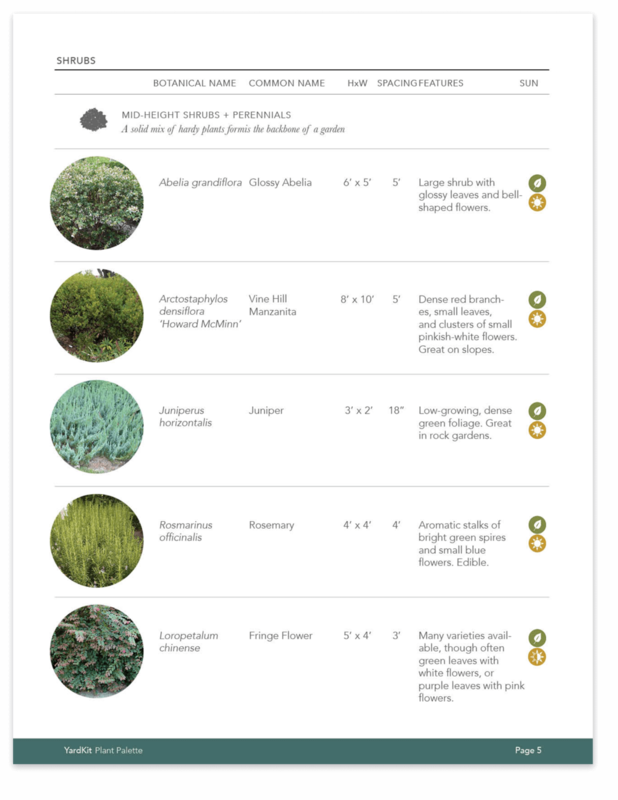 We love to share seasonal tips, trends, and other tidbits to help with your yard. © 2018 YardKit, Inc. All rights reserved.